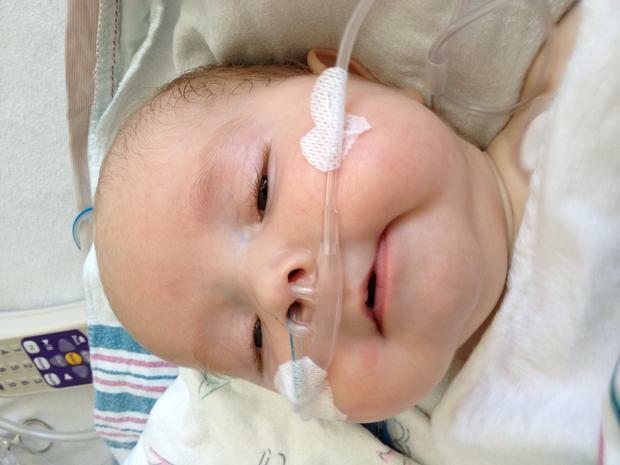 Gibson started out life in the NICU with breathing and blood sugar issues. Those soon resolved and he developed jaundice. He was released from the hostpital at a week old. A few months later we noticed that he was getting more yellow again and took him to the doctor. This began our journey into the world of Biliary Atresia. It is a liver issue with an unknown cause. Babies are born with normal bile ducts and then they go away. There is a procedue called the Kasai, named after the doctor that developed it, that if done early enough can help the liver recover and function in a somewhat normal way. Gibson had this surgery at 8 weeks. The surgeon was hopeful that Gibson would not ever need a liver transplant or only later in life. July came around and Gibson got more yellow again and his belly got big making it hard for him to breathe. Gibson and Christa flew down to Stanford to get Gibson evaluated for a transplant. 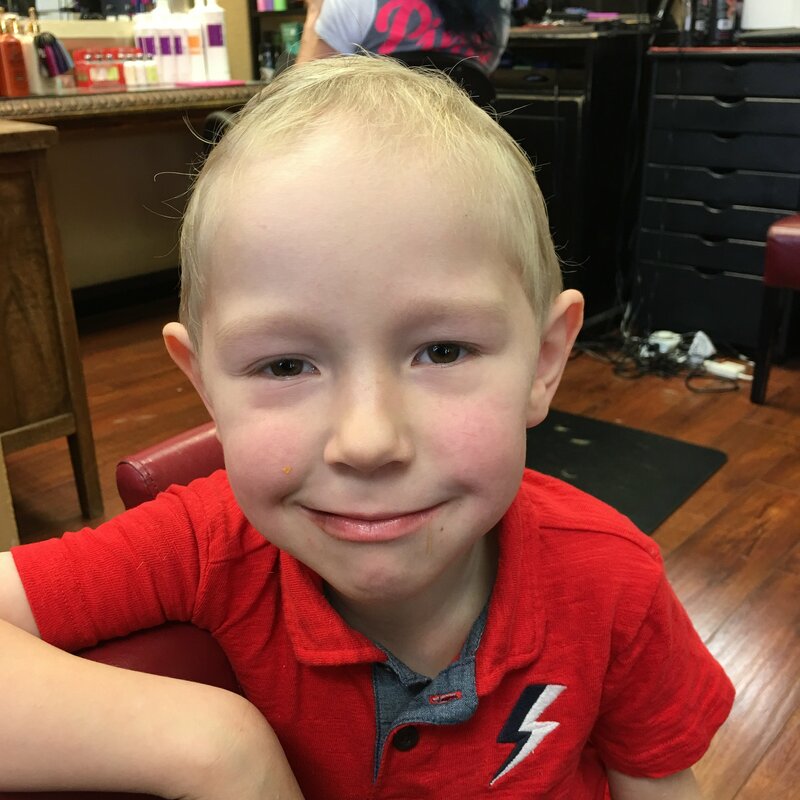 Gibson was added to the list to get a transplant a less than a week after they arrived. One week after arriving Gibson had a new liver. He left the hostpital in one week, a record for the hospital, we think. All was good for one month. Then Gibson wasn’t eating and started thowing up bile. Back to the ER at Stanford we went. He ended up having emergency surgery to remove scar tissue that was blocking his bowels. The super hero doctors at Stanford did it again, they saved his life and he was again out of the hosptial in a week. Overall we stayed in California for a little over two months. Our insurance paid for our housing at the Ronald McDonald House but nothing for food or the loss of wages that Christa suffered due to a job loss during this time. Your gift will help with Gibson’s transplant expenses now and going forward. He will need to be on medicines for the rest of his life and will need to be seen by his GI doctors at home regularly. Family and friends of Gibson Brown are raising money to pay for uninsured medical expenses associated with transplantation. Gibson’s family has chosen to fundraise with HelpHOPELive in part because HelpHOPELive assures fiscal accountability of funds raised and tax deductibility for donors. Donors can be sure that funds donated will be used only to pay or reimburse medically-related expenses. For more information, please contact HelpHOPELive at 800.642.8399. Gibson is dealing with his second ear infection of the season. He’s been free of ear infections for almost 2 years since he got tubes placed. One of the tubes fell out this summer and now that ear keeps getting infected. His Dr has sent a referral to ENT and he will hopefully be getting a new set of tubes. Due to it being so close to the end of the year, I don’t think he will even be seen before our insurance plan year restarts. He has met our out of pocket maximum for this year but if the tubes get placed next year, his totals will have cleared out. With this as well as the increase in his medication cost from 50 per month to 200 per month, we could use any help you can give. Gibson is doing really well. Even though he’s doing well, we still meet his out if pocket maximum of 2500 each year. The cost of his medication is going up this year to over double per month that we have been paying since his transplant. Most of the funds that have been donated thus far have been spent in the past four years since we started this campaign. Please donate if you can, every cent we get from this goes directly to Gibson’s medical bills. The bonus for you is that you get a deduction on your taxes. Gibson just got tubes in his ears to help prevent the frequent ear infections he has been experiencing. Being immune suppressed to keep his donated liver happy makes him more susceptible to any illness. The estimated cost for this after insurance is $1400. Anything will help. Gibson had a scare this summer when his Drs feared his swollen lymph node was possibly a post transplant cancer than liver transplant recipients can get. The biopsy came back as normal lymph node tissue. He has been diagnosed with alopecia and has lost his hair for a second time. It’s hard with the looks he gets because people think he has cancer. He pulls his brothers hair and then tries to pull is own, so we know he “misses” his hair. Since his transplant in 2013 he has been delayed in reaching his milestones. We have been working with early intervention since September 2014 and have recently added private speech therapy. He has improved leaps and bounds with is amazing private therapy sessions. He’s gone from saying hi, dada, momma to repeating most words we ask him to say. It’s still a work in progress and with weekly appointments it cost a lot. It’s worth it since it is helping so much more than the free services with the county/city. We met with Gibson’s GI team from Stanford today at Doernbecher. Great news is that we are now doing monthly labs instead of biweekly. We also get to stop one of his meds now and try giving half of another. We got to see some friends from RMH Stanford because they were getting a checkup today at Doernbecher today too. Some good friends of Carson held a fund raiser for Gibson at a pizza shop in our home town, Salem. It was a great day! Carson, Thoughts and prayers coming your way for little Gibson!